Class of ‘67: Fancies, Myths and Follies ($20, ISBN: 978-1937536503, Hardcover ISBN: 978-1-68114-148-0, 6X9″, 148pp, Click to Purchase): These ten stories focus on people who came of age during the turbulent years of the latter 1960s. The events in this collection cover the years from the early sixties when most of the characters were children to the turn of the millennium when these same characters are in their early fifties. Readers will find here a quirky but honest look at the fancies, myths, and follies with which we surround ourselves as we age. With humor, a touch of the bizarre, and the subtle effects of a war that influenced those who fought it, as well as those who did not, these characters stumble toward the future in a world slowly moving ever closer to chaos and disorder. The collection is unified by the fascinating “back story” of Finch and Lauren, and their relationship over a forty-five year period. The ins and outs, ups and downs of this long-term love affair are all here among the bizarre events, the humor, the sadness, and the joy of a journey from the early nineteen sixties into a new millennium. 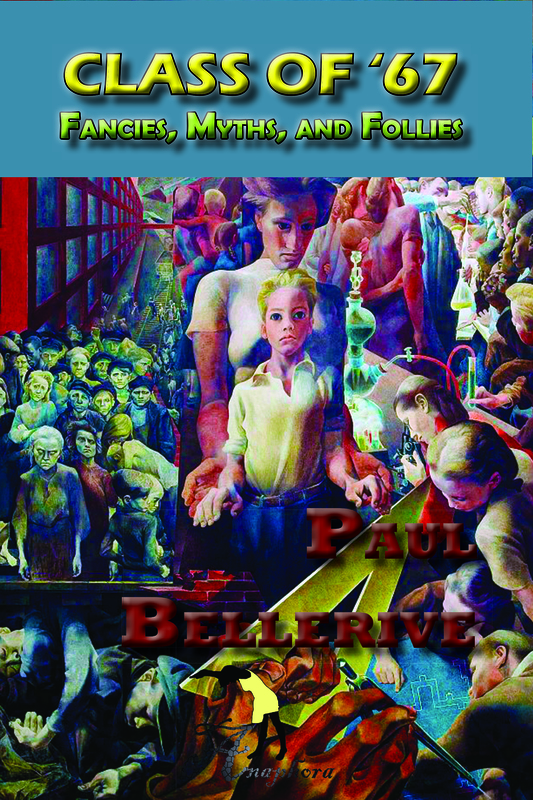 Paul Bellerive has been writing poetry and fiction for many years. His latest collection of poetry, Notes on the Road to Now, was published by Anaphora Literary Press in June of 2013. His first collection of poetry, Searching through Yesterday; Stumbling toward Tomorrow was published in 2004. He was nominated for a PushCart Prize for fiction in 2004 and is a recipient of the Bay Area Poets Coalition (Berkeley, CA) Award for Excellence. Bellerive has taught writing at Saint Anselm College and Southern New Hampshire University.